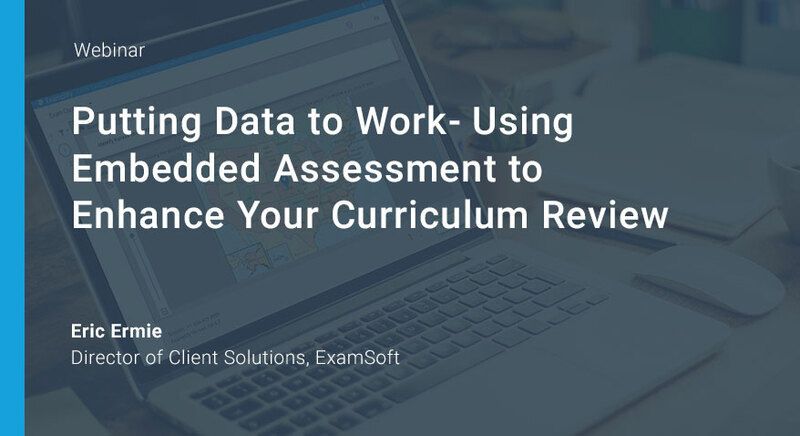 This webinar demonstrates how ExamSoft can be leveraged to make new curriculum successful, as well as how to properly use assessment data to ensure the long-term success of a program. New requirements and increased scrutiny from accreditation bodies, increasing demands of licensure exams, and the need to incorporate technology into education are driving many institutions to revamp the curriculum. this webinar discusses the ways educators can ensure changes to curriculum are effective and the uses of real-time data for tweaking processes along the way.